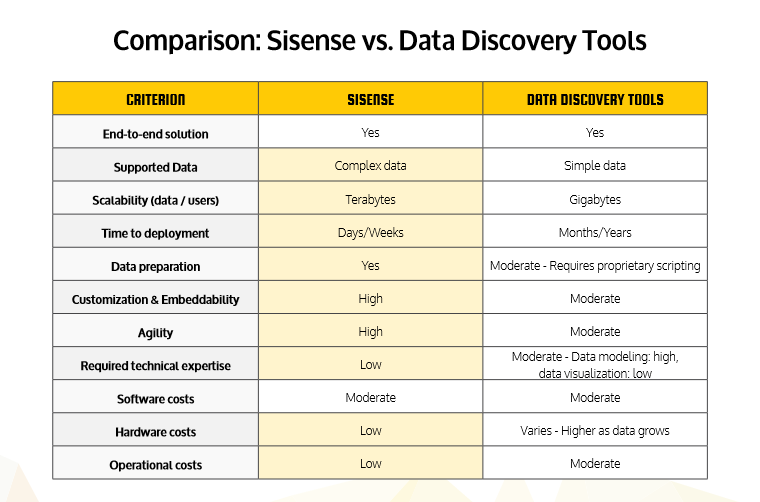 In this white paper you will be able to see how Sisense stacks up against enterprise BI, in-memory data discovery and visualization tools, open source BI platforms, and even Hadoop. Sisense simplifies business intelligence for organizations who struggle to make sense of large and scattered data by providing a complete solution for preparing, analyzing and visualizing complex data sets. 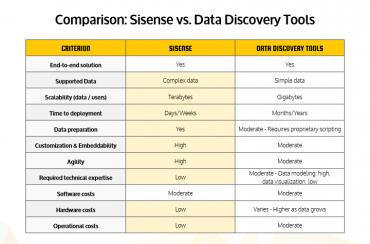 Using Sisense as a BI tool, or a reporting platform, anyone can understand their data, no matter how complex it is.